Cuba is a dream destination: Caribbean atmosphere meets a wide range of cultural offerings. The people are friendly and the nature is absolutely impressive. In addition, the island is relatively manageable and can be easily discovered on a round trip by rental car. The best way to do this is to rent your own car in Cuba: anyone who rents a car for themselves is free and independent in their planning and can discover the magic of Cuba for themselves. We will tell you which places of interest you should have seen in Cuba, which routes are available and how you can find a cheap car rental in Cuba through the Driveboo price comparison. We have compiled the most important information on travel and car rental in Cuba for you. The capital Havana (also called "La Habana") is the largest metropolis of the Caribbean. Worth seeing is above all the old town, which makes visible the charm of the "old" Cuba from colonial times. Baroque and neoclassical buildings can be found here as well as Art decó buildings. Particularly impressive are the Cathedral of San Cristobál and the Palacio de los Capitanes Generales. But Havana also has a lot to offer off the beaten track, such as the Malecón promenade or the huge, beautiful Cementerio Cristóbal Colón cemetery. These places are easily accessible with the matching rental car. Valle de Vinales is a national park in the west of Cuba and is one of the most beautiful parts of the island. The impressive "Mogotes" - as the cone cliffs are called in Spanish - and the unique vegetation distinguish the valley. Several caves offer a cool shelter on hot days. You can also admire the Cuban palm fern, which only grows here and is threatened with extinction. An excursion by rental car to Valle de Vinales is highly recommended and for many people it is already an integral part of a trip to Cuba. Cienfuegos is the perfect place to return to colonial Cuba. The city is not particularly large with about 170,000 inhabitants, but it is all the more beautiful. It is not without reason that it is also called "La Perla del Sur" ("The Pearl of the South"). The old town has been a UNESCO World Heritage Site since 2005 and offers architecturally impressive buildings that were designed by Spanish and French immigrants alike. Every Cuba visitor should have seen the chic colonial buildings, especially around the Parque José Martí. The Botanical Garden is also remarkable. It is located 15 kilometers from the city center and is easily accessible by rental car. In the National Park "Montemar" you can find this lake, according to a legend there is hidden a gold treasure. The tour on the lake is wonderful and you can book it directly on the spot. In the hotel complex in the middle of the lake there is a museum with an interesting exhibition about Indians. Nearby is a crocodile breeding station - but the animals are not exclusively for viewing. This impressive national park is a UNESCO World Heritage Site. The flora in particular is incomparable: of the more than 1,000 plant species, around 80 percent are endemic - that is, they only exist there. But there are also countless endangered animal species that only exist in Cuba in the Humboldt National Park. Getting to Baracoa by car is quite difficult - but it's worth it. Ask your car rental company for the best route. We cooperate with various car rental companies in Cuba. Simply select the location that suits you best. 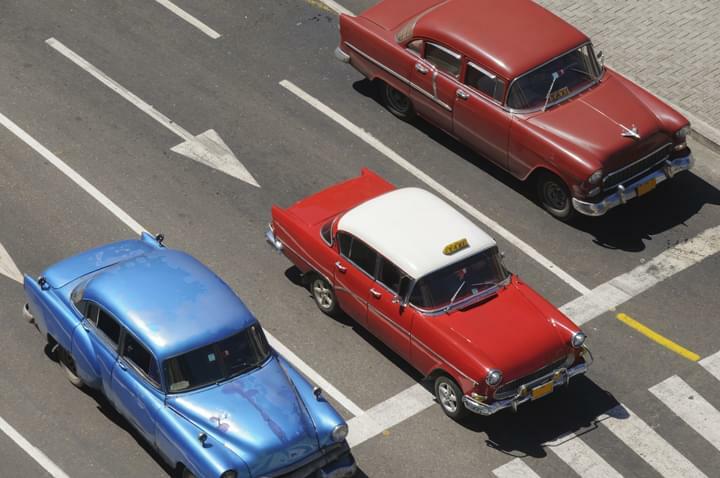 Most vehicles usually available at the two major airports of Havana and Varadero. When renting a car in Cuba, it is very important to book early on. 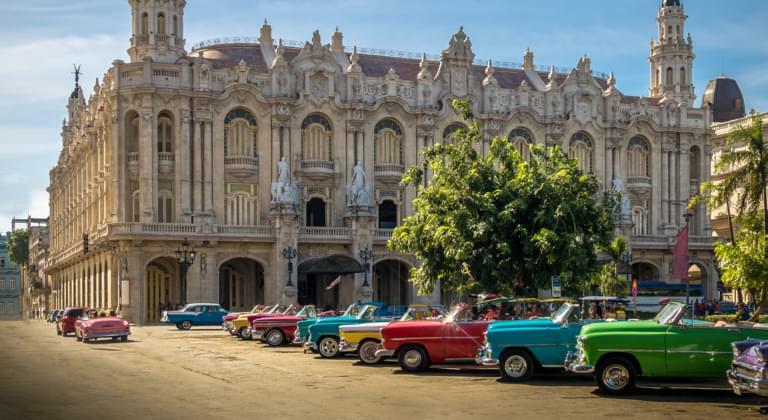 Car rental companies in Cuba usually only accept reservations for vehicles with a lead time of more than one week. Traveling in Cuba offers everything your heart desires: nature, culture, beaches and hospitable people. If you want to see as much of the island as possible, you shouldn't stay in the hotel - there is an incredible amount of things to see and Cuba can be discovered with a rental car. Whether east, west or the whole island: Only those who drive around a lot can enjoy the whole variety of the island. So it is definitely worthwhile to rent a car when you are on a trip to Cuba. Varadero is located on the north coast of Cuba on the Hicacos peninsula, a good 120 kilometres east of Havana. The name Varadero derives from the peninsula, originally inhabited and forested by Indians, from the ship captains who brought their ships here for repair. Varadero offers palm-fringed sandy beaches, first-class hotels and restaurants as well as numerous leisure and water sports facilities with a colorful and dazzling underwater world - there is something for everyone. The beach of Varadero is located in the northern part of the peninsula and many visitors consider it to be the most beautiful beach in the Caribbean. A stroll along the beach promenade takes you past the former luxury villas. Many of the glamorous buildings today house hotels. Furthermore, small bars, cafés and simple grill restaurants invite you to linger - here you can really enjoy yourself. 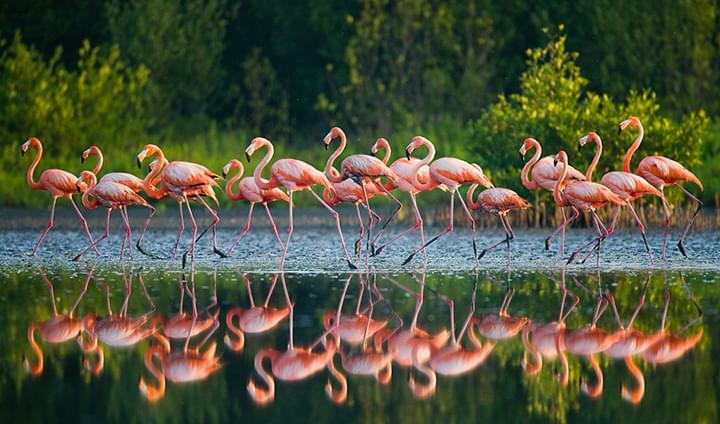 The west of Cuba offers impressive cities, enchanting beaches and great national parks. Pick up your rental car at Jose Marti International Airport Havana. Make sure you make the Car RentalCheck price comparison beforehand, so you not only get the cheapest offer but also rent your car in Cuba safely. Now you can explore the impressive old town of Havana. From Havana it is not a long drive to the famous fortress El Morro. Not far from Havana to the west is the Valle de Vinales National Park, which is definitely worth a visit due to its cone cliffs and unique vegetation. There are endless tobacco plantations and particularly hospitable Cubans on the so-called tobacco route to the west. A trip to the Caribbean is especially worthwhile in winter, when temperatures are below freezing. In this case, however, the flights are correspondingly expensive. But Cuba is also the perfect destination in the spring of Europe. Rather avoid travelling between June and October: Because then it's rainy season with the danger of hurricanes. Hurricane season is mainly in September and October. Those who travel to Cuba from December to May, on the other hand, will be rewarded with fantastic tropical temperatures around 30 degrees during the day and around 20 degrees at night. Please note that you need a visa for Cuba. This goes through the Cuban embassy or a travel agency. Also worth knowing: The island has its own currency for tourists. While the locals pay with Cuban pesos, the currency of the tourists is the "Peso cubano convertible". It may not be exported, but must be exchanged back before departure. When travelling by rental car, you should be aware that the roads are in much worse condition than Europeans are used to. Always drive carefully and pay attention to potholes and the like. A rental car is highly recommended in Cuba. But how do you go easy on the holiday funds and find an offer that is particularly cheap? Here the car rental price comparison is worthwhile itself already from at home. Simply enter your travel data, the desired vehicle category and any additional services such as child seats, navigation devices or similar in the online search form: this will give you the best deal for you. In addition, the earlier you book, the cheaper the offer for your rental car in Cuba will be. Planning in advance is therefore worthwhile for the rental car trip through Cuba. Of course, it is not only important for a car rental company that it is cheap. You should also make sure that your insurance cover is sufficient. We therefore always recommend that you take out comprehensive comprehensive insurance - so that you are protected and can enjoy your trip to the Cuban Islands in a relaxed atmosphere. A sufficient amount of cover is also important. Here, online booking is once again an advantage. If you rent a car locally, the sums insured are often much too low. So when travelling to the Caribbean, it is always a good idea to book your rental car in advance. More interesting and helpful information about booking your rental car for Cuba can be found in our blog. For example, we will let you know when the best time to visit Cuba is. What to consider when returning a rental car: When returning your rental car to the local rental company, simply follow the terms of the rental agreement. Whether you rent a car at the airport or at another Cuba station, make sure that you keep to the drop-off point, drop-off point, drop-off time and drop-off date as stated in your individual offer. Simply start your own price comparison and convince yourself of our favorable offers. With your rental car you are flexible and independent in Cuba - making your trip to Cuba an unforgettable experience!